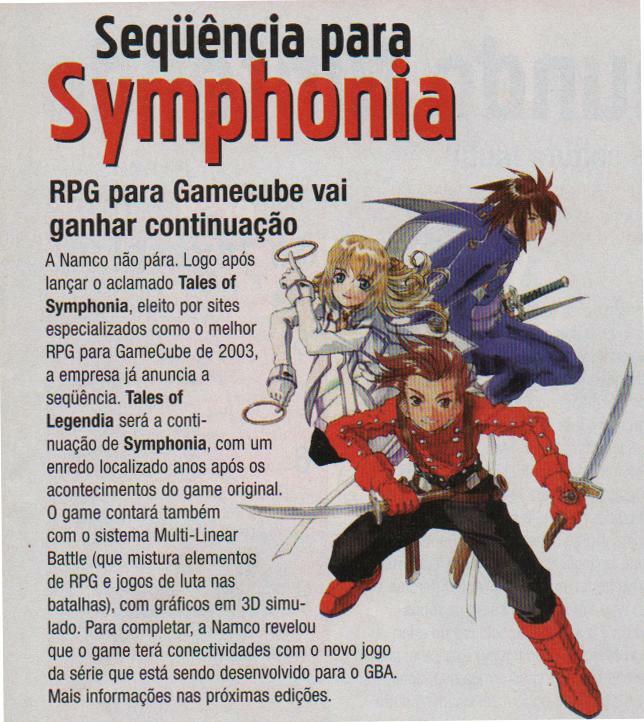 Several changes exist between the initial concept of Tale Phantasia and the published game, due to Namco’s interference with Wolfteam’s efforts, eventually cutting them out of the process and removing them from the credits towards the end of development. This includes changing the character artist from Yoshiaki Inagaki to the now-familiar Kousuke Fujishima, resulting in entirely redesigned and renamed characters with in-game sprites that are based on original artwork and not Fujishima’s revisions, which are shown in the status art, along with several alterations to key chars and plot points. A grand majority of the story was cut from the game, and no attempt was made to close the plot holes that were created by Namco’s actions. In the beta pics below we can see the original character design of Inagaki and a scan of a pre-release version of Tales of Phantasia. I played the game ten years ago, so i don’t remember it too well, and the scan is low quality, but i don’t see any major changes. If you have more informations please make a comment and we’ll update the post. Thanks to Youloute of the Assembler forum for the scan. Below is a few sprites that are ripped from the final version of Tales of Phantasia, but these sprites go completely unused. They’re ‘angel’ sprites for when Raise Dead is used. Some of them are completely unknown, but clearly Brambert, Rhea and Morrison are in the list. Brambert was in the beta of Tales of Phantasia, as seen in the image below. Not much is known about Rhea but it appears NPC’s may have been usable in battle. There’s also a ‘Tactics’ icon for both Brambart and Rhea as well. Not too mention both of their names are stored in the same area as Cress and Co.’s. Thanks to Justin3009 for the contribution! Do you have the concept artwork for Klarth and Suzu?